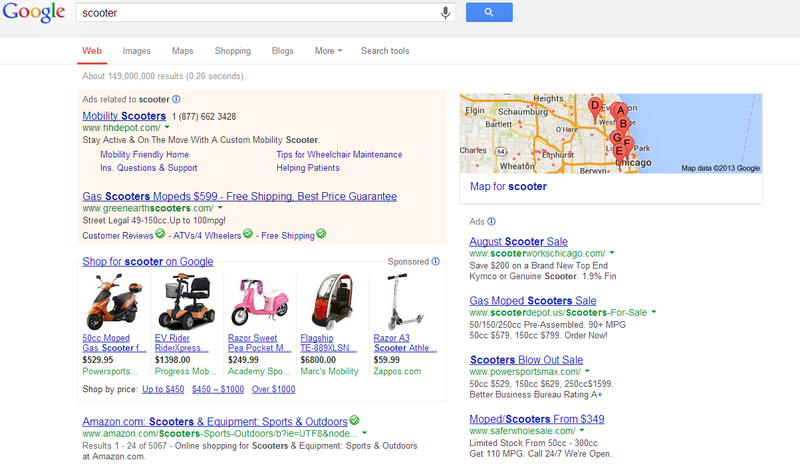 At the end of 2010, Google began its official rollout of Product Listing Ads (PLA), eventually moving to an all paid Google Shopping model at the end of 2012. Coming up on the three-year anniversary, we thought this might be a good opportunity to spotlight some recent research from our clients focused on the adoption and performance of the ad type. 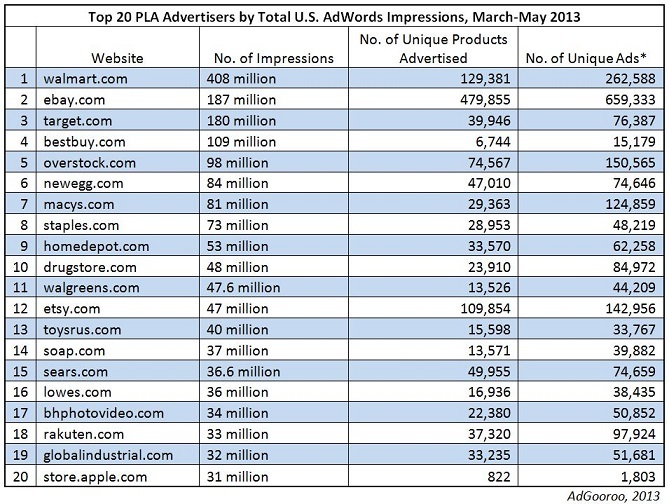 AdGooroo recently released a list of the top 20 Google PLA advertisers by impression (over a three-month period), and Wal-Mart tops the list with 408 million PLA impressions representing 129,381 unique products and 262,588 unique product listing ads. The next closest PLA competitor was eBay with 187 million impressions spread across 659,333 unique ads on behalf of a whopping 479,855 different products, which makes sense considering its business model. Surprisingly Amazon, the biggest paid search advertiser (generating 1.5 billion paid search text ad impressions during the three-month period), falls well short of the top 20, ranking 75th in the analysis. Apparently they’ve decided not to embrace the PLA format, sticking primarily with the more traditional text-based PPC ads. So the PLA is popular and effective; why?